When I started on my fitness journey less than 2 years ago, I could barely run three miles. I couldn’t do a single pull-up and was embarrassed to set foot in a weight room because I was so intimidated. Well, I pressed through thanks to the encouragement of my family and friends and I finally completed a major fitness milestone: I ran the Arizona Tough Mudder 2014. 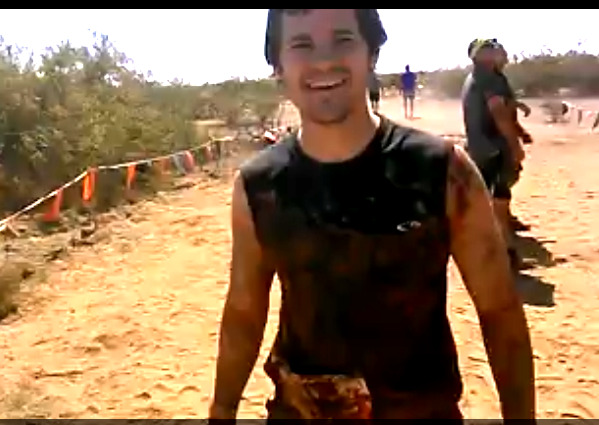 About 12 miles plus obstacles, including mud pits, wall-climbs, insane monkey bars, ice-water swims, and electric shocks. 1) Regular training builds discipline. I struggled to maintain my training habit on the weekends, but boy was it worth it! Discipline breeds more discipline, and not just in the physical realm. You will be surprised to find out what you will accomplish in every area of your life when you begin to take control over your own body. The power of incremental change over time is immense. 2) You will do things you are afraid of...and accomplish things you never thought possible. Trust me, I was afraid of diving into ice water, but I felt amazing after I conquered it. My confidence went through the roof for the whole rest of the race! I was afraid I would fail to buddy-carry a guy about 1.5 times bigger than me, but somehow I did it! Confronting your fears is a key aspect of growing beyond them. Like the discipline piece, the benefits of overcoming your fears in one area of life will bleed over in many others. 3) You will be encouraged that you're not doing life alone. The kindness and camaraderie at Tough Mudder and other events will restore a bit of your faith in humanity…and remind you that you can pay it forward elsewhere. What would completing a challenge like the Tough Mudder mean for you?